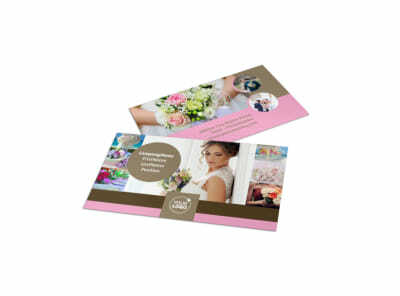 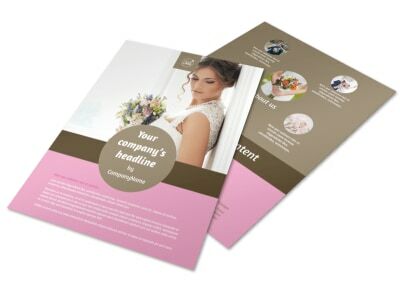 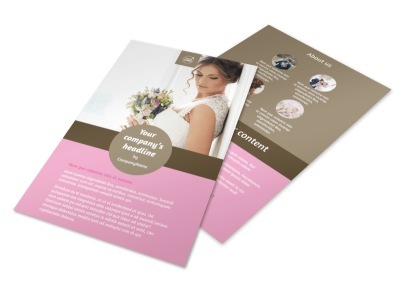 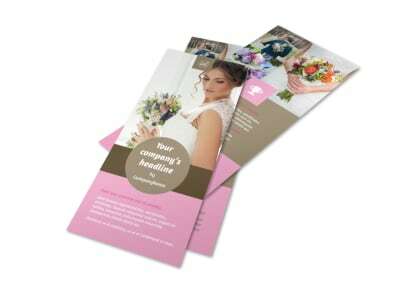 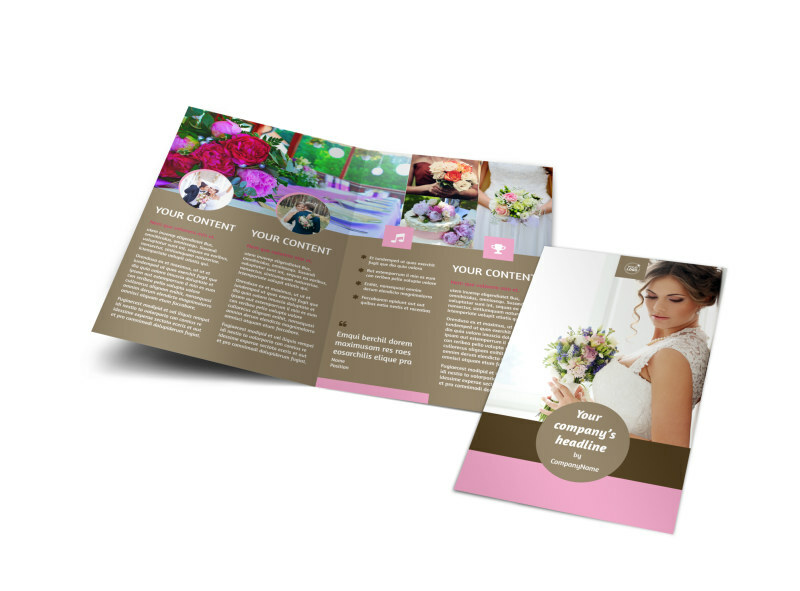 Customize our Wedding Florists Brochure Template and more! 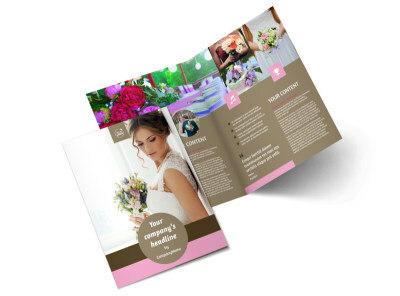 Show wedding planners that your business is full in bloom with wedding florists brochures detailing the floral arrangements and pricing packages you have available. 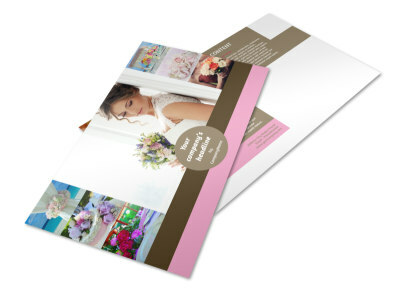 Customize your choice of a bifold or trifold template by adding images of the beautiful floral arrangements you have available to highlight any important details about each package. 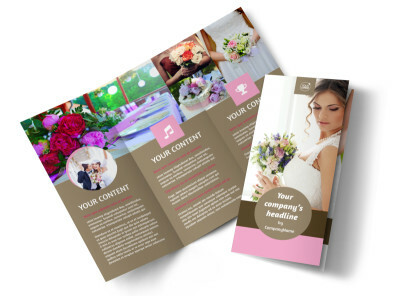 Start designing today so you can get back to providing beautiful floral arrangements for wedding parties.